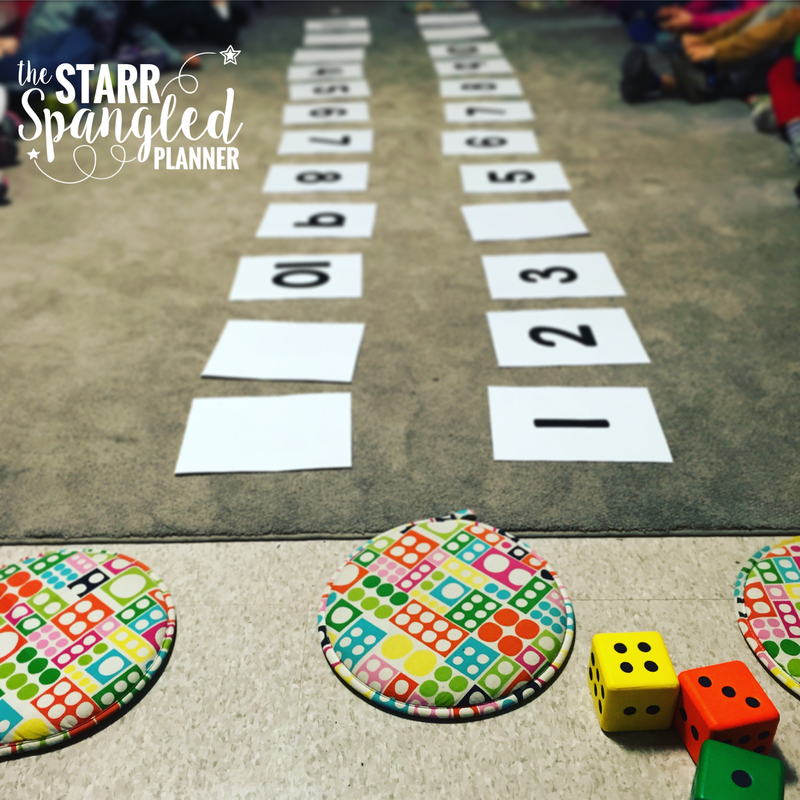 Player 1 rolls 2 dice, adding them together to find the sum. If their sum was 9, the player can cover up ANY combination of numbers that equal 9, using each number only once! 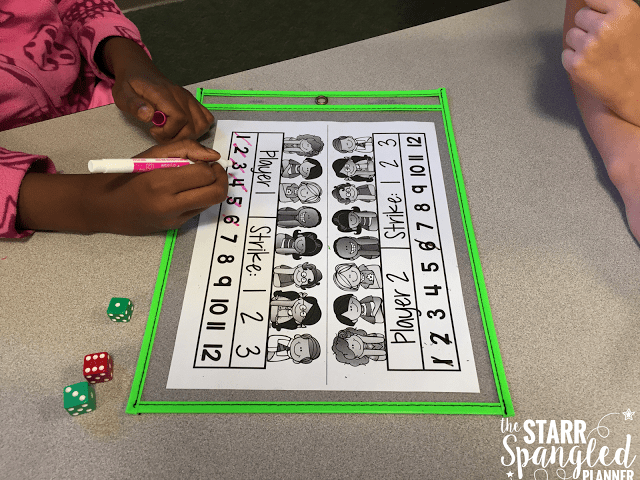 Player 2 rolls 2 dice, adding them together to find the sum. 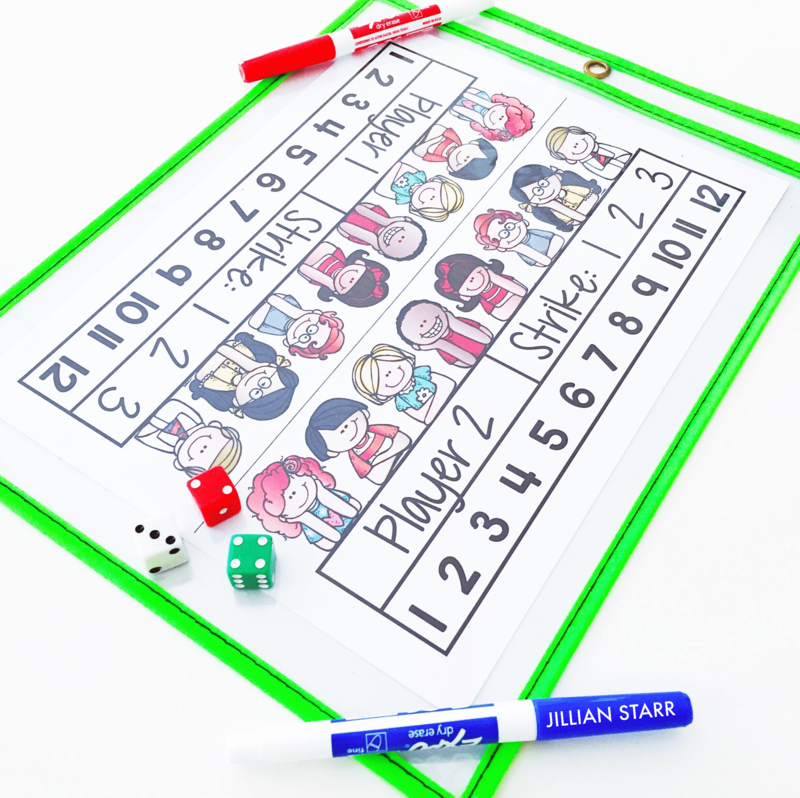 Then player 2 may cover up any combination of numbers that equals their sum. The first student to flip over all of their numbers WINS! Although you can grab the actual board game from various vendors on Amazon, not all of us can afford it! I have found that a paper version works equally as well. I just slip it into a sheet protector, give my students some dry erase markers and voila! 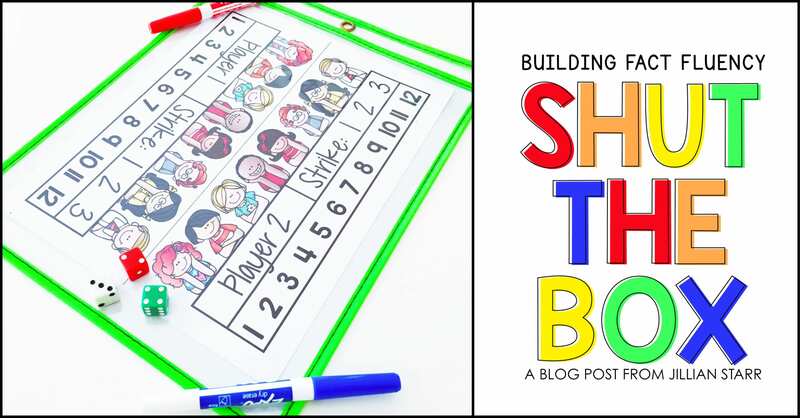 Use a deck of ten frame cards with representations of numbers 1-10 instead of dice. 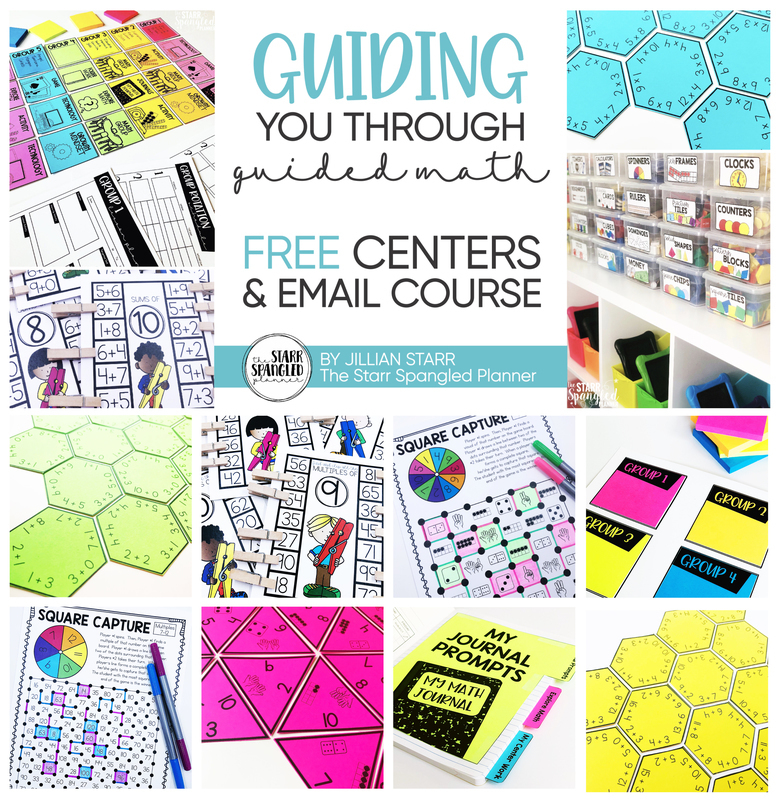 Have students match the card they flip to their game board. Use a spinner with numbers 1-10. 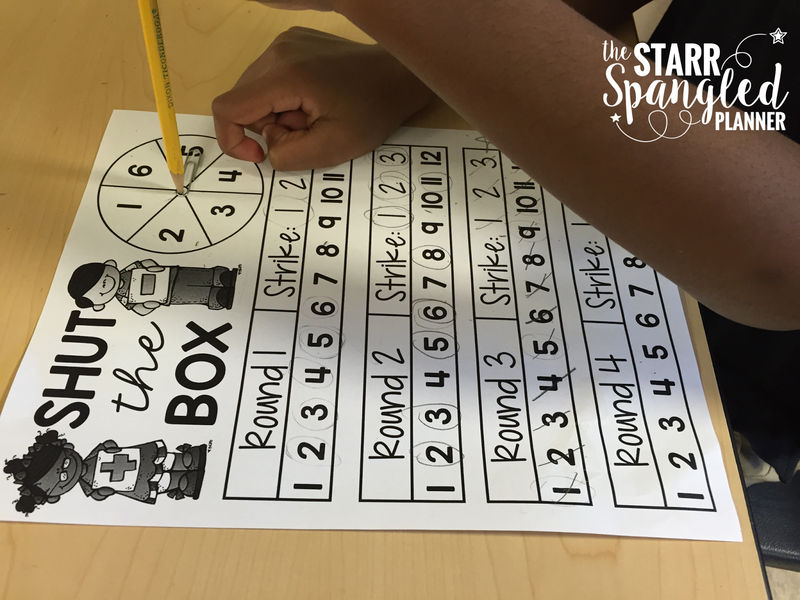 Have students match their spin to the ten frame representation on their cards. Need to add a layer of difficulty? I like to add in the option for using subtraction, and let them use 3 dice! The set-up will still look the same. You can still use the regular game board if you have them, or any other modification you have made. Player 1 rolls 3 dice and find the sum. I like to use a recording sheet for this version. 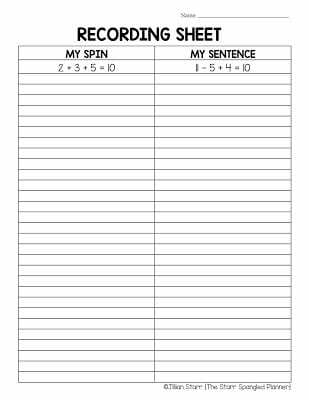 This not only gives students practice with writing equations, but it also helps me monitor my student’s work while they are working independently. Sometimes you just need your kiddos to work independently! Whether it is because you need to bring the noise level down in your classroom, or it is just one of those days, it’s always nice to have a way for your kiddos to play a familiar game independently! 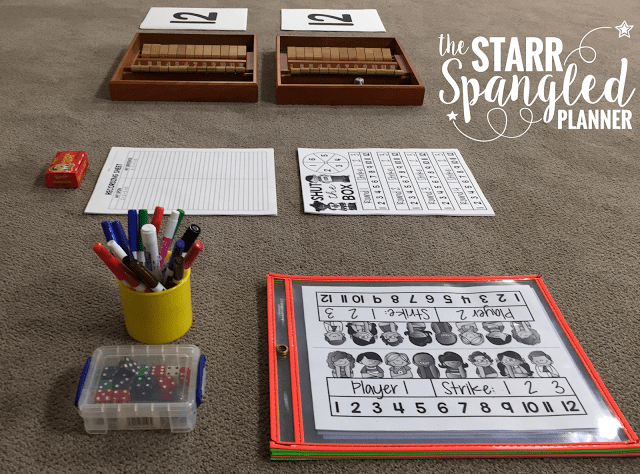 This single player version is perfect for homework, independent work, or as a way to introduce the game to small groups. I give the option of a spinner at the top so that students can play the game at home, even if they do not have dice! My third graders LOVED this game! All I had to do was throw in the option of using multiplication (and division if ready) to have them engaged. 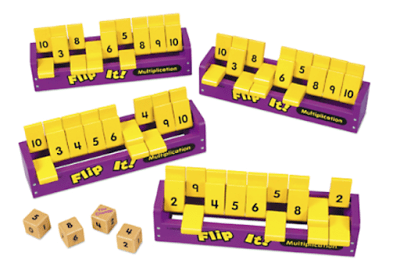 There is also an AWESOME version that I used to enrich my third graders called Flip It! I bought it from Lakeshore Learning, and my third graders were OBSESSED! I love playing this game with the whole class during morning meeting, or when I find myself with 10 extra minutes in my schedule. I simply split my class into two teams, having each sit on their respective sides of the game board. All you need is to print numbers 1-10 or 1-12 on regular 8.5×11 sheets of paper and lay them out in your meeting area. I like to use large foam dice so everyone can see the roll, but it’s not a necessity! 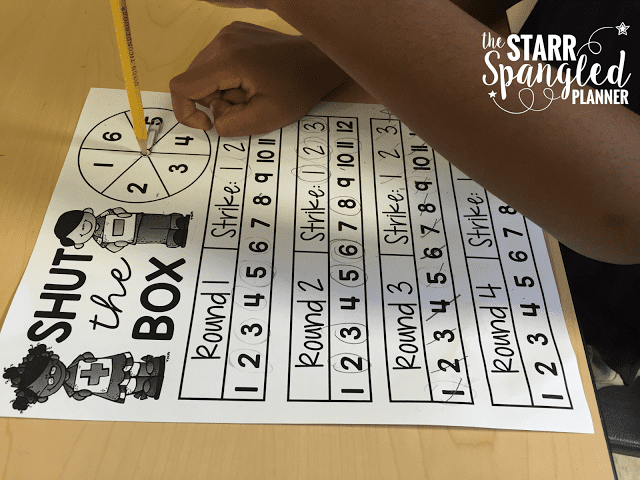 Regardless of your student population, math workshop model, or grade level (K-3) you can find a way to incorporate this game into your classroom! I hope you have enjoyed a peek into this amazing game! If you have a different way that you play this game in your classroom, I would LOVE to hear more about it! Thank you for stopping by! Such great ideas! May I ask, where did you get the plastic covers for the tracking sheet? Love them. You are the Math Games queen! I love all of the options and versions you provided! Thank you! You can also use a 0-9 die and have your students make 10. Since the die doesn’t have a 10 the 0 is used for both 0 and 10. You will need to “shut” the 11 and 12 on the board. I have the actual game that goes to 10. 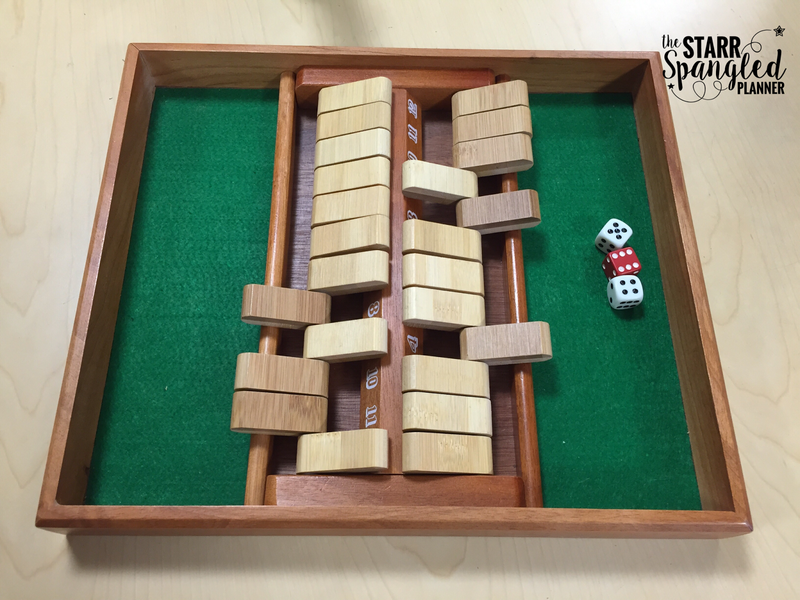 My students love playing it for making 10. I am so glad I found this blog post!! I discovered Shut the Box at a family gathering a while back, but didn’t want to shell out $30+ for a game for my classroom. This is the perfect compromise! Love all the different variations too. Thank you for sharing!! I am curious as to how you play it using multiplication.